Reduced Non-Productive Time. 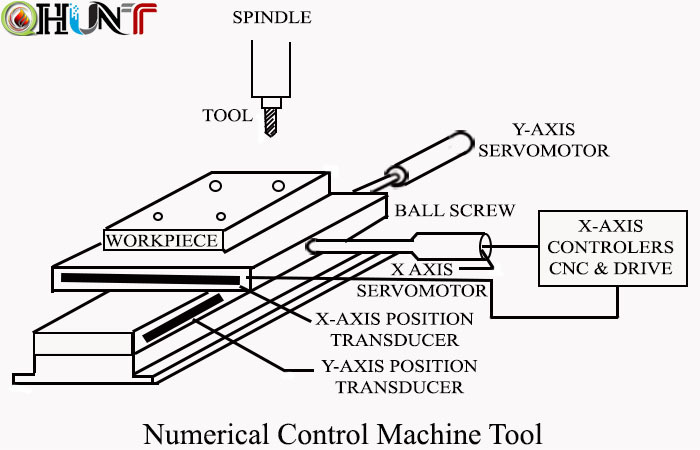 Numerical control has little or no effect on the basic metal cutting or other manufacturing process. However, NC can increase the proportion of time the machine is engaged in the actual process. It accomplishes this by means of fewer setups, less time in setting up, reduced work piece handling time, automatic tool change, etc. Reduced Fixturing. NC requires fixtures which are simpler and less costly to fabricate because the positioning is done by the NC tape rather than the jig or fixture. Greater Manufacturing Flexibility. With numerical control it is easier to adapt to engineering design changes, alterations of the production schedule, changeovers in jobs, etc. Improved Quality Control. NC is ideal for complicated works where the chances of human mistakes are high. Numerical control produces parts with greater accuracy, reduced scrap, and lesser inspection requirements. Reduced Inventory. Owing to fewer setups and shorter lead times with numerical control, the amount of inventory is reduced. Reduced Floor Space Requirements. Since one NC machining centre can often accomplish the production of several conventional machines, the amount of floor space required in an NC shop is usually less than in a conventional shop.